Letlhogonolo Mokgoroane obtained his LLB from Stellenbosch University, graduating in 2013. At Stellenbosch, he was an academic mentor at his on campus residence and he tutored various modules throughout his undergraduate degree. He also formed part of a group of students who started the First Generation Camp, which is a camp that focuses on ensuring that the students who are the first of their families to coming to University were equipped with skills succeed at University. After University, he served articles and later become an associate at Bowman Gilfillan Inc. In July 2016, he served as a law clerk for Justice Mbuyiseli Madlanga at the Constitutional Court of South Africa. His areas of interest include identity politics, intersectionality and socio-economic rights. Letlhogonolo enjoys reading books, poetry and attending other types of art performance such as plays, musical and recitals. He is one part of a duo that presents and produces a podcast ‘The Cheeky Natives,’ which reviews books and other art performances. 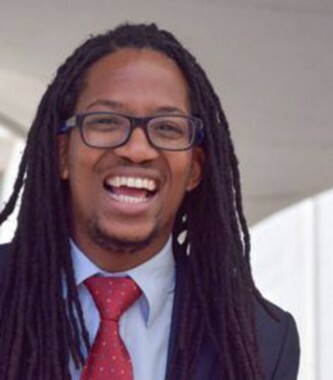 He obtained the Sonke/UCLA Health & Human Rights Fellowship in 2017/2018.